There are some beautiful luxury lofts and condos, primarily in the Tucson and Oro Valley areas. Most of the lofts for sale are in central Tucson AZ and close to Downtown. One such loft is Ice House Loft 122. 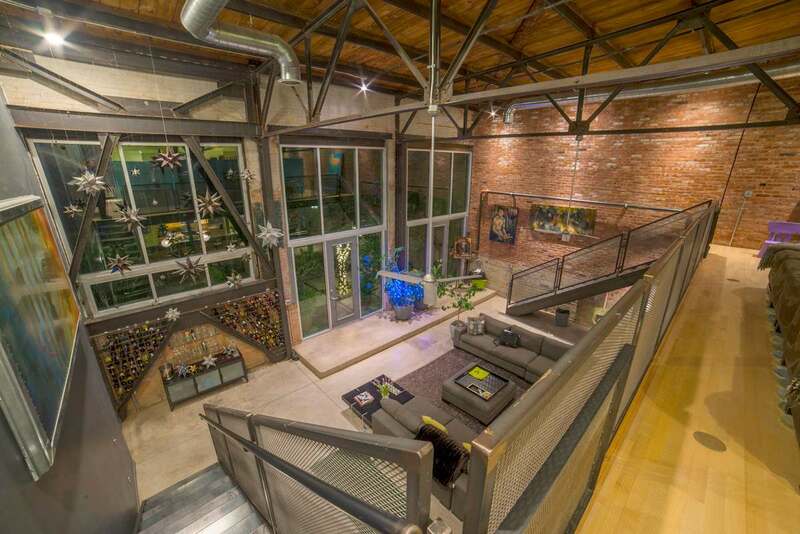 This loft has four bedrooms, four bathrooms and almost 4000 square feet of living space. It also has four parking spaces, two covered and two uncovered, within the gated area of the community. Industrial modern in its style, the loft is unique in that there is no other loft as large anywhere in Pima County. This is the perfect space for someone who needs an office, an art studio space or a den. It is a great loft for someone who as children or other family members who need their own room or maybe just needs a guest room. There are 3 lofts right in downtown Tucson a few steps away from the street car / light rail. These lofts have a modern elegant feel and range from $700,000 to over $1m. Very few even know that they exist. Some of my favorite luxury condominium and townhouse communities are the condos in Sin Vacas, La Paloma and Ventana Canyon. Most of them have views of the Catalina Mountains and many have views of the city lights. The luxury townhomes at Miraval Resort are spectacular. They are usually priced over $2m and the HOA is about $20,000 (verify pricing of course as prices do change). I love these because of the amazing contemporary design as well as the modern features. The indoor spaces that become outdoor living are superb and really maximize the owners ability to enjoy the amazing weather Tucson AZ offers all year round. For information right now, on any of these condo’s, lofts or townhomes, call me.